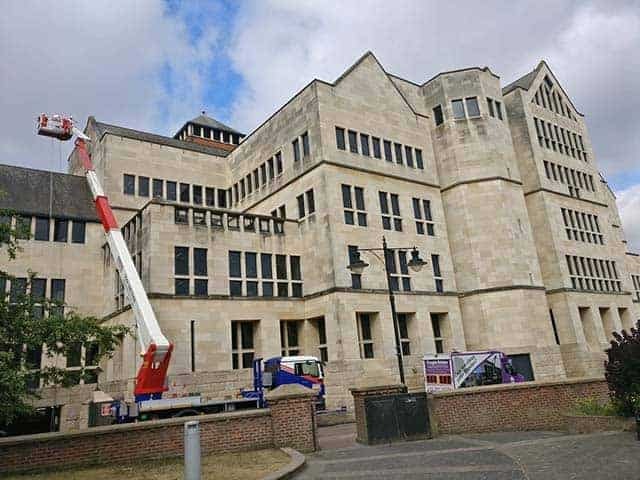 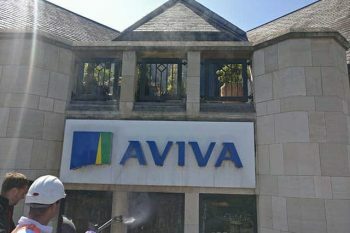 CBRE contacted us to clean this lovely Portland Stone building in York for their client Aviva Insurance. 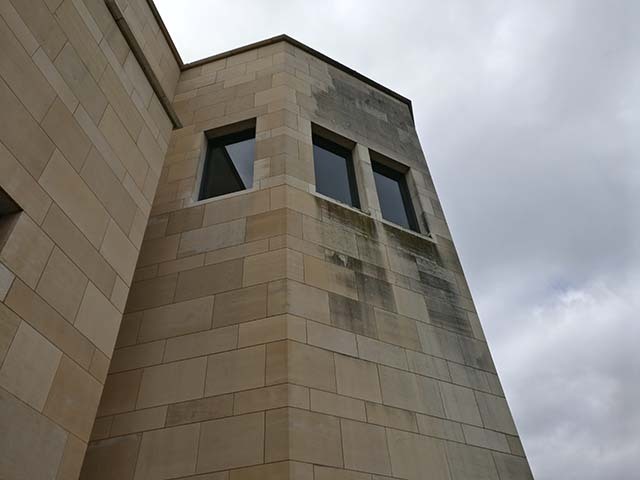 The Portland Stone on the lower level was cleaned only one year previously and unfortunately the wrong stone cleaning method was used, hence the amount of earlier than expected re growth of organic matter came back quicker and thicker. 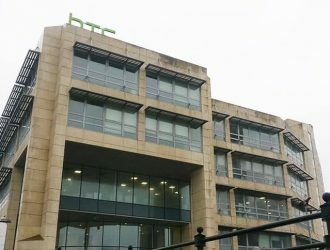 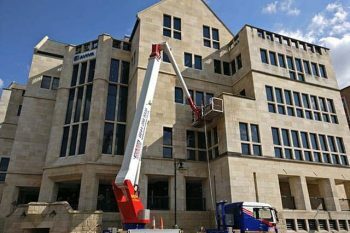 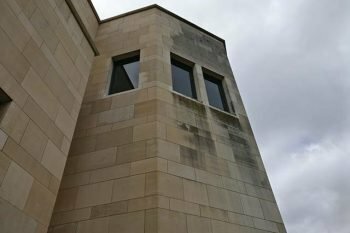 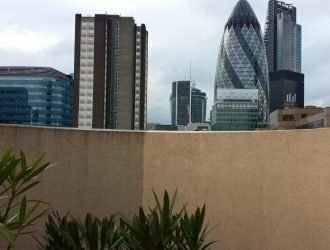 Higher levels saw atmospheric pollution covering the Portland Stone façade and specialised cleaning solutions were used to remove it and make the Portland Stone look brand new. 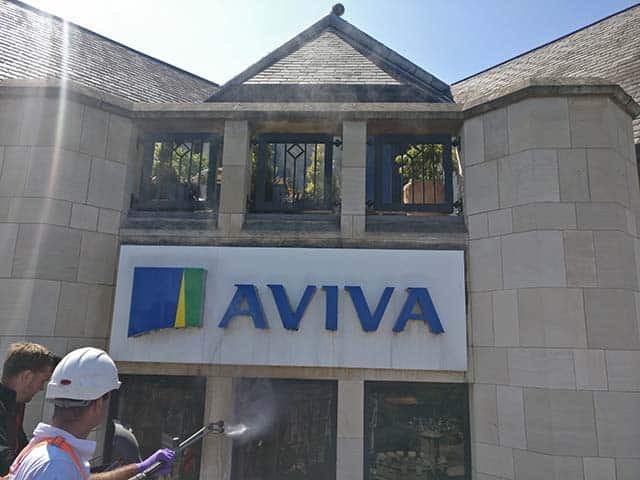 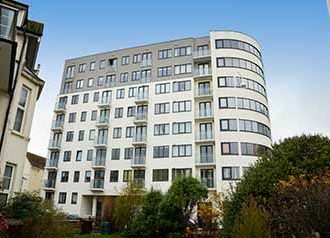 Aviva had been resident in the building for many years before deciding to have the Portland Stone cleaned. 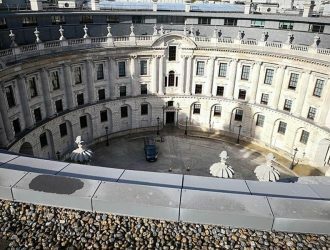 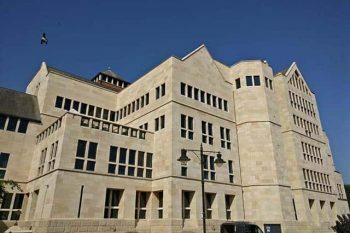 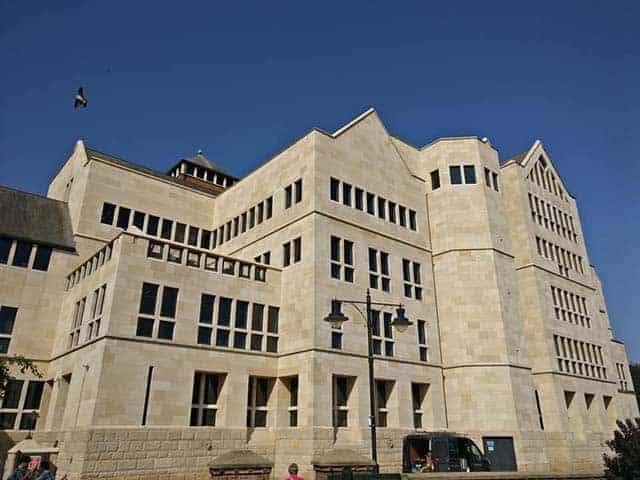 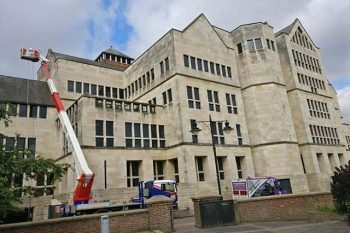 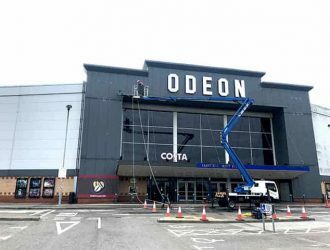 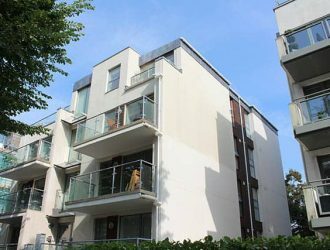 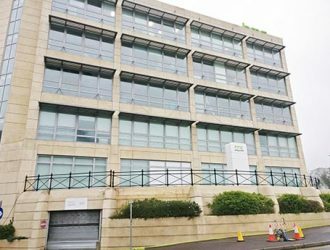 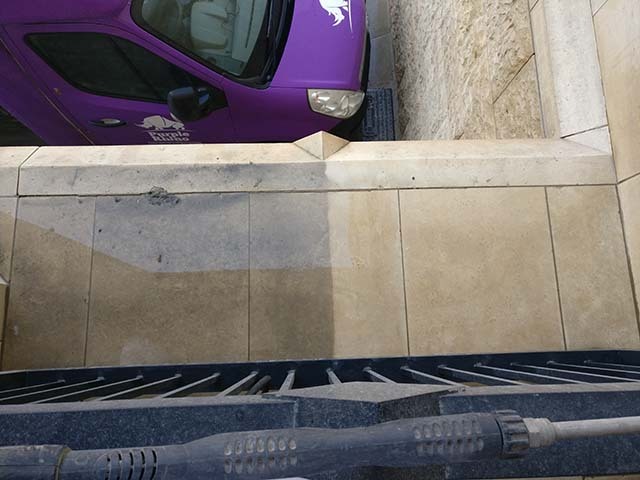 CBRE approved contractor Purple Rhino was chosen because of their ability to demonstrate how effectively they could clean the Portland Stone to make it clean. 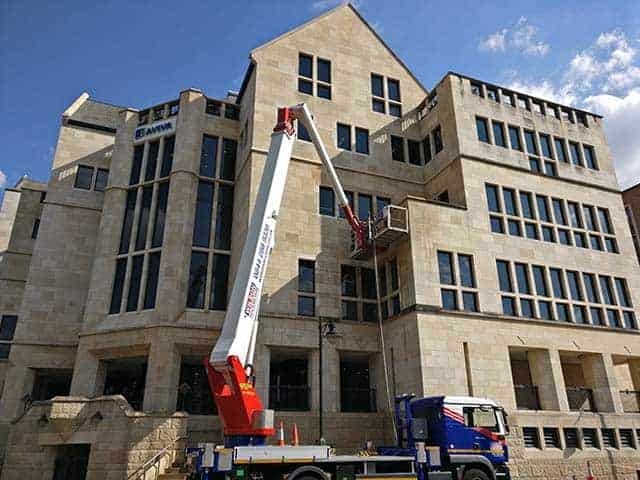 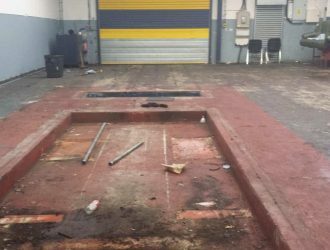 The initial planning included site surveying to include high level access equipment and traffic management. 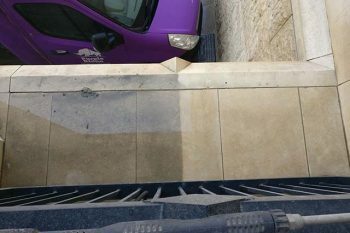 SoftWashing and Doff Steam Cleaning Methods and Techniques were used to make the Portland stone look like new.